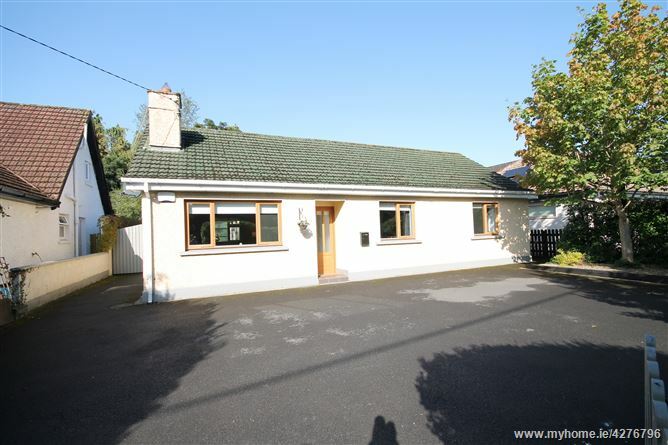 Lisnaree is a detached home on a generous site of c. 0.2 Acres in a Town Centre location on the Blessington Road adjacent to Tesco and only a short walk from Poplar Square. 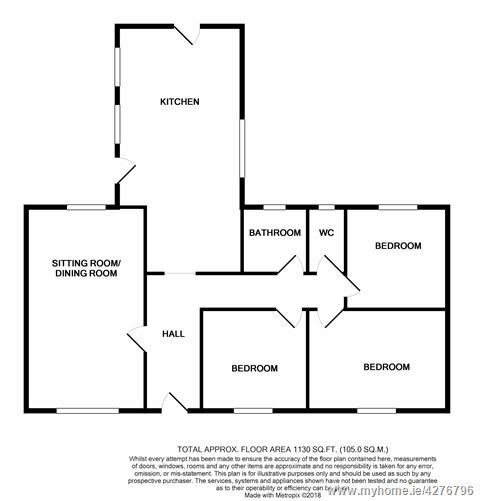 Presented in excellent condition throughout extending to c. 105.11 sq.m. 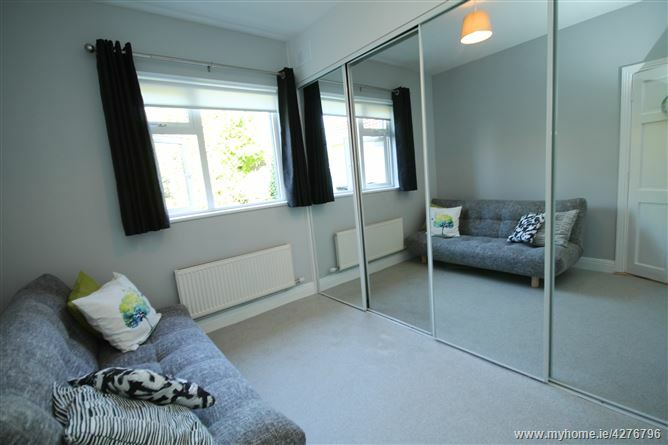 (c. 1,130 sq.ft.) 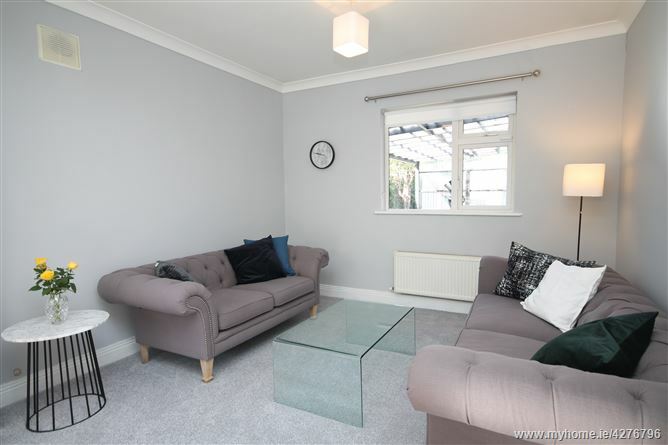 with PVC double glazed windows, gas fired central heating, PVC fascias/soffits, side access on both sides of house with gates and maple fitted kitchen. 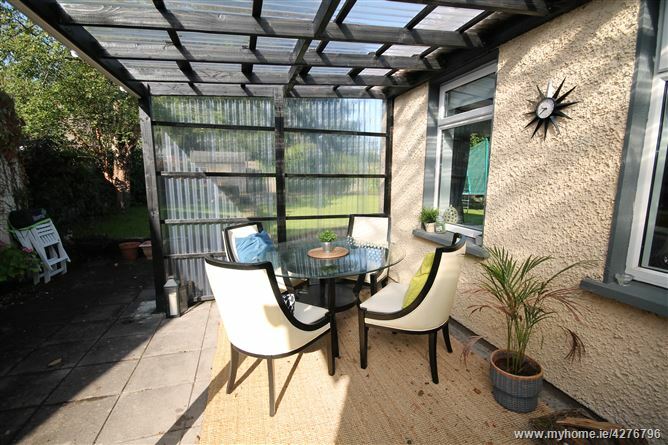 Approached by a recessed entrance to a large tarmacadam forecourt, the site is enclosed by trees and hedges with rear garden in lawn, not overlooked and covered paved patio area. 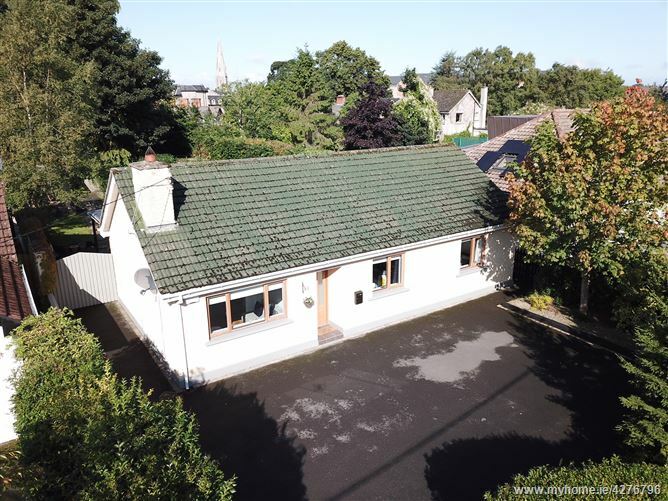 Naas is a sought after town with all the amenities on your doorstep including schools, churches, restaurants, pubs and superb selection of shops. Commuters have the benefit of the train service from Sallins, bus route from Poplar Square and M7 Motorway access closeby at Junction 9. Local employers include Green Isle Foods, QK Meats, Kerry Foods Facility and many Campuses within easy access such as Pfizer, City West, Park West, Grange Castle. • Good road and rail infrastructure closeby. 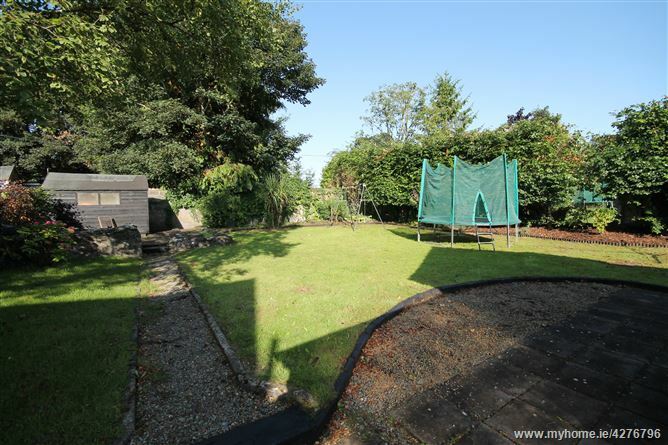 • Large west facing rear garden. 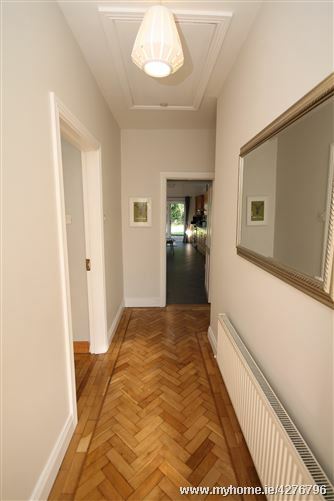 With part parquet floor, slate fireplace, gas fire and coving. 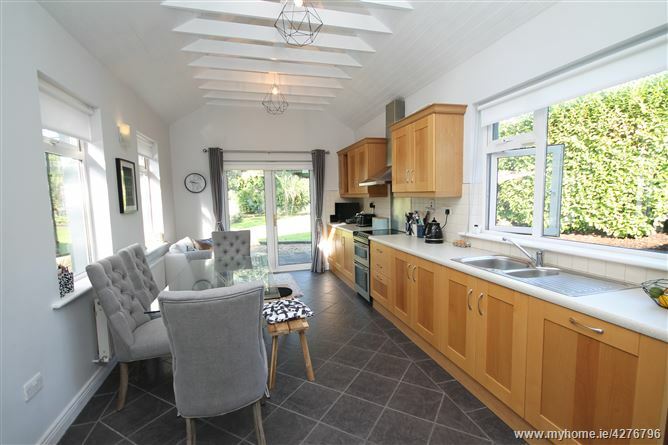 With maple shaker built in ground and eye level presses, ss sink unit, utility press (plumbed), integrated Bosch dishwasher, French doors to rear garden, vaulted wood panelled painted ceiling, tiled floor and surround. 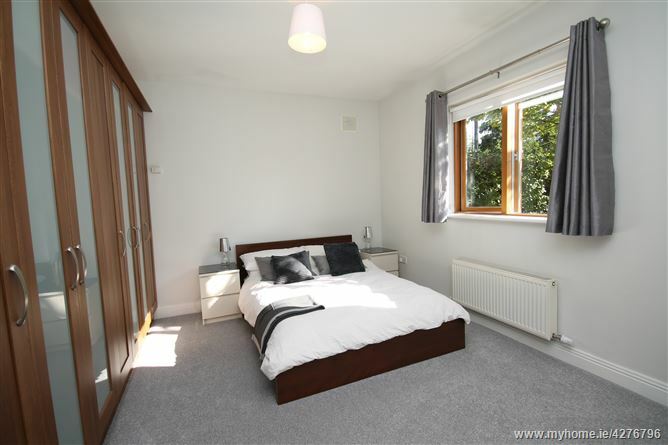 With range of built in walnut wardrobes. 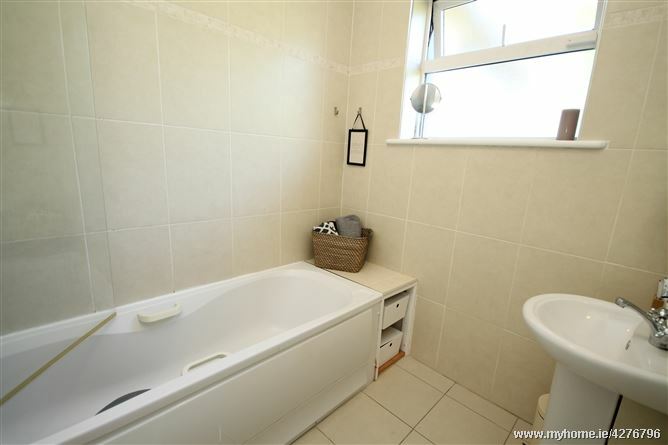 Fully tiled, bath with shower attachment, w.h.b., heated towel rail and separate shower over bath. 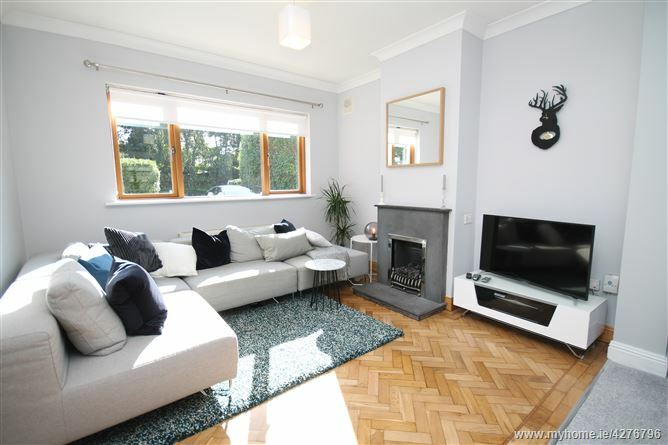 Approached via a recessed entrance to a large tarmacadam forecourt, the site is enclosed by trees and hedges with south west facing rear garden mainly in lawn and not overlooked from rear. Covered paved patio area, side access on both sides with gates. Barna shed, flower beds. Outside tap and socket. 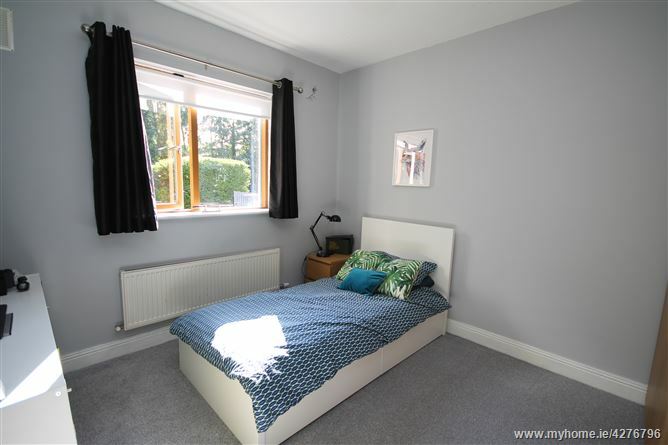 Mains water, mains drainage, gasfired central heating, broadband and refuse collection.